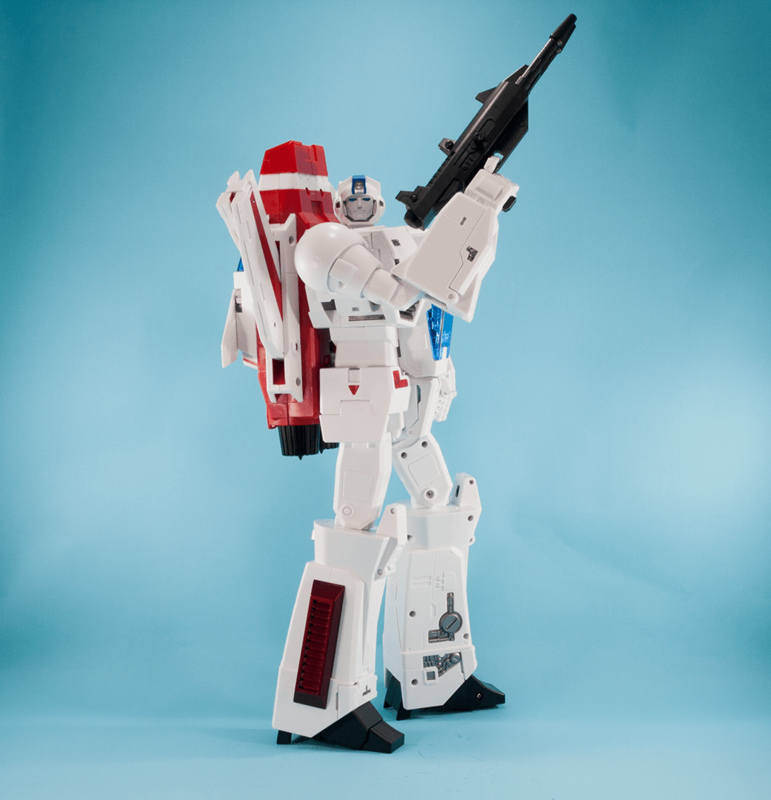 I have fond memories of Jetfire as a wee lad. In my simple child mind he was the biggest and so when I got him he became my new Autobot leader, and I guess his big fat rank of 10 on the back of the box would not have discouraged this kind of thinking, not to mention the apparent intentions to leadership they had for him at the time, of which I have no memories. 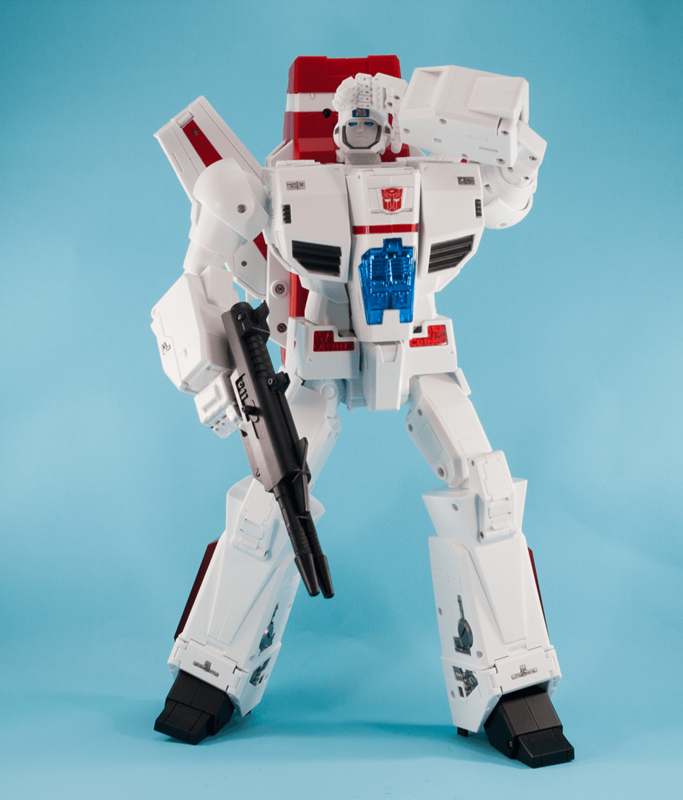 This is before even getting started on the mental gymnastics I must have performed to reconcile the Jetfire/Skyfire conundrum. I have no idea if it is a blank my mind has filled in as the years have passed or if it is an understanding I really did have at the time, but I think with Ironhide and Ratchet being so different between cartoon and toy, then surely Jetfire and Skyfire are one and the same? Yeah the name has changed, but still close enough to just be one of those weird toy to cartoon mix ups? Regardless of rationale I have always assumed they were one and the same. I also have always known his correct name to be Jetfire, because of course it is, just as Rumble has always been red and black! What next? 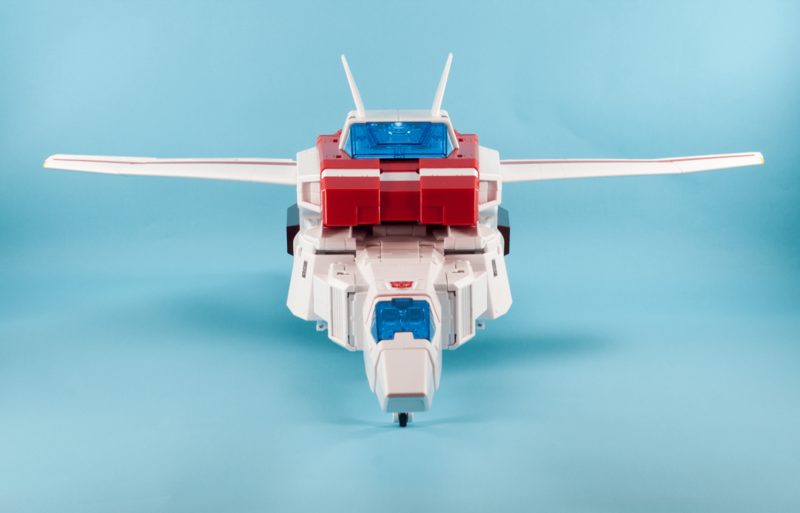 Jetfire as a Decepticon? Even more crazy talk! 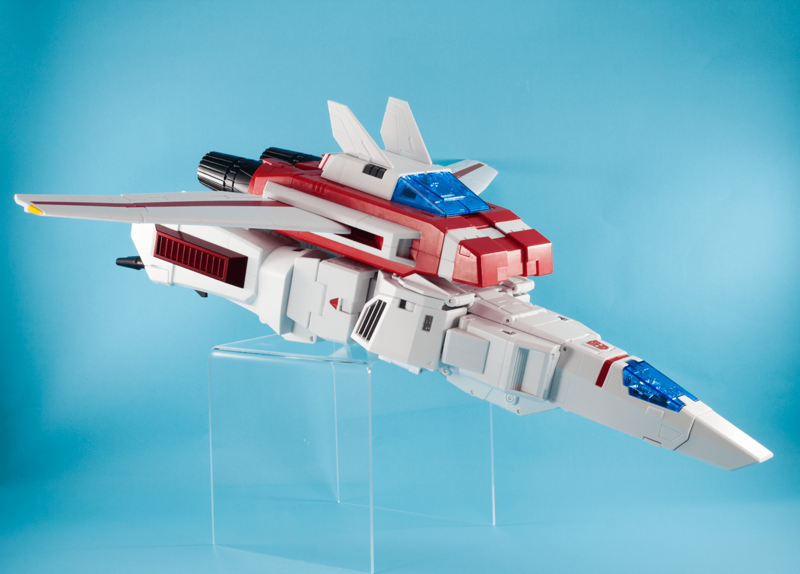 When I found out there would be a masterpiece styled Jetfire, I knew I had to get in on that action. Just having him correctly sized for that scale… Wow! And now he’s here he’s every bit as magnificent as I had imagined. He’s the big, beefy science bot stepped out of the screen and in to reality. 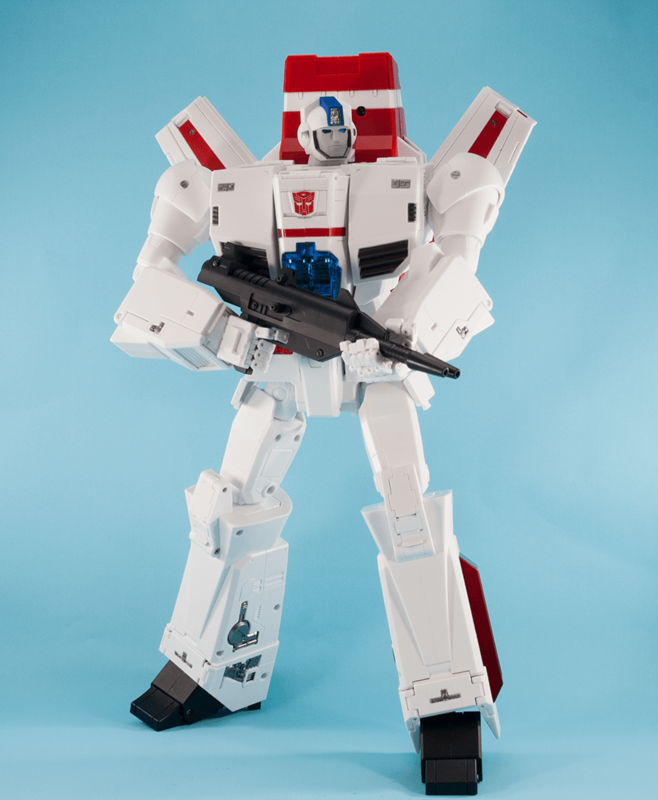 As a toy he is almost everything I could have wished for, he is gorgeous to look at, with just enough detail to keep the vast, pristine white panels from getting boring. 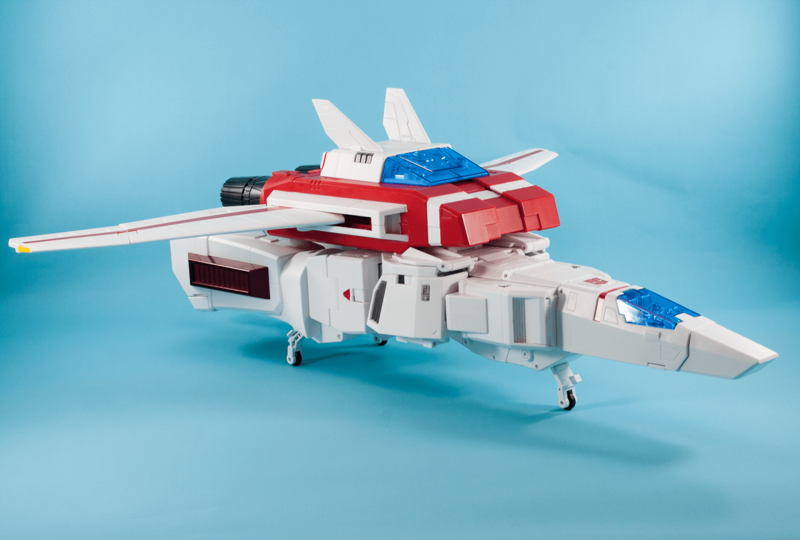 Add in a transformation that is simple and repeatable to go back and forth to an incredible alt mode that is as perfect a recreation of a cartoon Skyfire jet as the bot mode is to the TV counterpoint and I don’t know what more I would add. If there is anything missing it’s the lack of a waist swivel, but when so much else is right on a bot that is so good to look at and play with, I think I might just have to let him off. An amazing bot, with a fantastic alt mode and all the fun you could want from a toy. He’s a an absolute winner and I’m super happy to have picked him up.